A former senior IRA member has still not been questioned about the Birmingham pub bombings, almost a year after he offered to meet detectives from West Midlands police. Kieran Conway was a Provo head of intelligence in England when the terror group detonated bombs at two city centre bars in November 1974, leaving 21 people dead and 182 injured. Now a qualified lawyer working in his home city of Dublin, he revealed his own links to those behind the atrocity when he published his memoirs last November. Since then, relatives of the victims have been lobbying Birmingham police to establish if Mr Conway has vital evidence to offer any fresh investigation. The West Midlands force has stated that the case is closed unless new evidence is uncovered. In his book ‘Southside Provisional – From Freedom Fighter to the Four Courts,’ Mr Conway claims to have been involved in high-level IRA meetings to discuss the fallout from the bombings, and was also later debriefed in Dublin. He said the organisation’s leadership was furious at the civilian death toll. 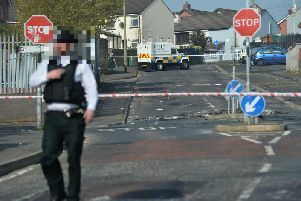 Speaking to the News Letter last night, Mr Conway said he believed the English police were feigning interest to keep the victims’ relatives happy. Mr Conway, who played no part in the bombings, said he was present when the IRA commander at the time, Dave O’Connell, led the briefing along with another senior Provo he has declined to name. Commenting on the apparent lack of urgency from Birmingham detectives, he said the situation had been “dragging on” since last November. A spokesman for West Midlands police said: “We are aware of what has been said and we are planning to speak to him”. Mr Conway said he would have asked for an on-the-run ‘comfort letter’ had he known of the scheme. “I won’t go to the UK after writing the book as I believe I would be arrested and charged with membership on the basis of my opening admitting it in the book. Ivor Bell has been charged with membership back in 1972 and I believe the same would happen to me. In the south I am safe as they have indicated they have no interest down here in historic IRA prosecutions, so I am okay here,” he added. Last week Mr Conway told the Birmingham Mail that man who planted the bombs was mentally “in bits” after the atrocities.